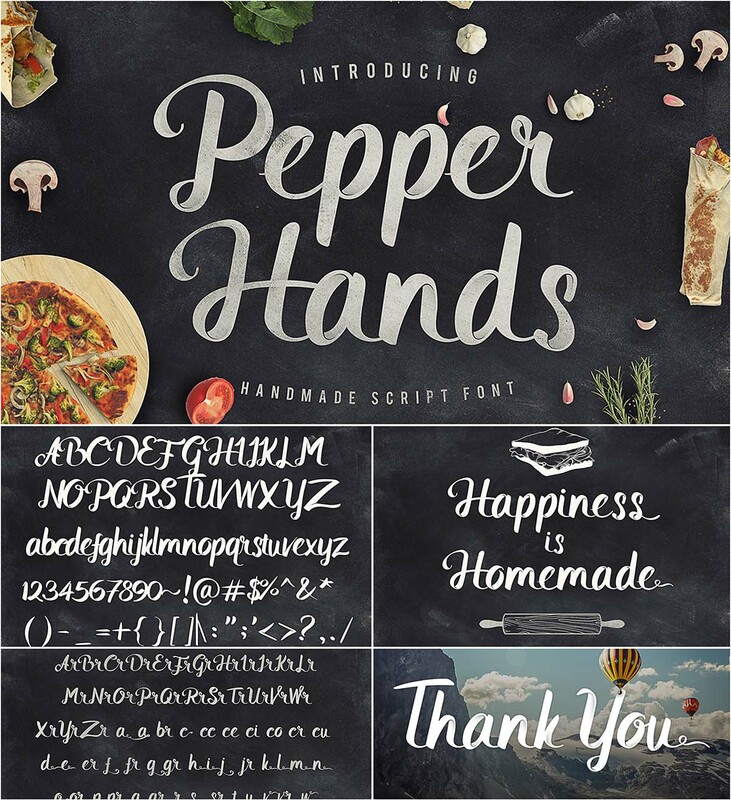 Introducing “Pepper hands” is a handmade script font that represent classic feel and the art of lettering. This font contains uppercase, lowercase, number, symbol, punctuation, and glyphs. Tags: classic, cooking, hand lettering, handmade, hipster, hype, popular, retro, script. I love this font. How can I download it? Can you please please please somehow add the german letters – äÄ/öÖ/üÜ/ß – to it? I‘d be so grateful! Planning on starting a Blog with this Font. unfortunately we can’t do it, but you can ask to authour of this script on creativemarket.